PARAISO, Corozal District, Thurs. May 26, 2016–The peace and tranquility of Paraiso was shattered this afternoon as a pair of gunmen who were lay-waiting a man came out of hiding and opened fire on him as he was just getting out of his van at about 4:30 this afternoon in front of a house in the village. One of the two gunmen fired about 10 shots at Delmar Guerra, 37, who is also referred to as Delmar Tun, and is known as “El Diablo,” of San Joaquin, Corozal District. Guerra suffered multiple gunshot wounds, and his assailants left the scene on a motorcycle. Guerra was rushed to the Corozal Town Hospital, where he was declared dead on arrival. His body has been deposited at the morgue where it will undergo a mandatory postmortem exam. Police said that Guerra had been shot in the abdomen, chest, arm pit and arm. A firearm was found on the scene, but it cannot yet be ascertained if it belongs to Guerra or to the killers. Police said that the motive for the execution is not yet known. However, this is the second attempt on Guerra’s life. In October 2013, Guerra was shot between the lower jaw and left side of the ear, and the bullet shattered his lower jaw. The shooter was an unknown gunman who was lurking near a tree in Calderitas, Chetumal, when Guerra visited the popular tourist spot. According to reports, when Guerra fell, the gunman closed in and attempted to end Guerra’s life, but the the gun jammed. The gunman then jumped into a waiting car and escaped. Guerra was taken to the Chetumal General Hospital, where his condition was declared serious, but stable. The taxi driver who took him to Calderitas was detained for questioning by Chetumal police. The taxi driver who took Guerra to Calderitas told police that on their arrival at the restaurant, a man was waiting for them; the man then approached and shot Guerra. 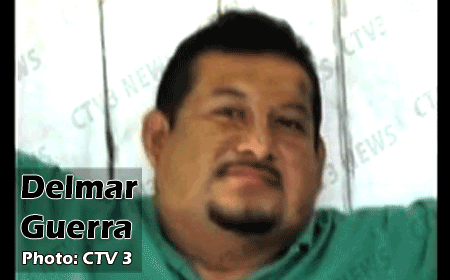 Guerra returned to Corozal on his release from the Chetumal Hospital. It is not known if the Mexican police ever found the shooter.